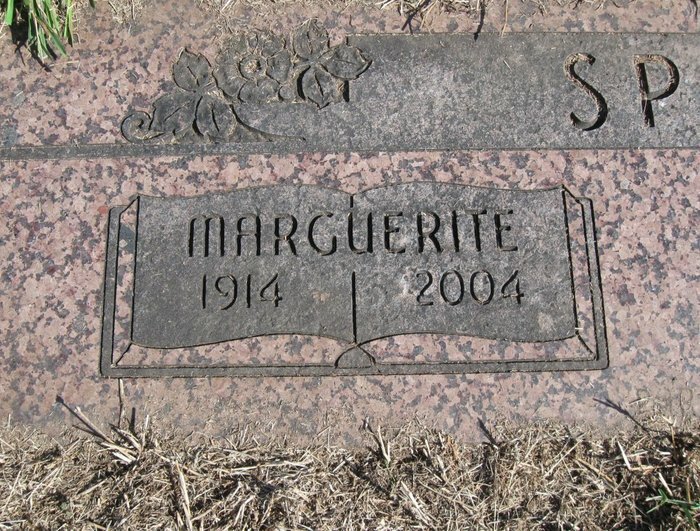 Marguerite Spooner, 89, Arkansas City, died Saturday, June 5, 2004, at the Presbyterian Manor Health Care Unit in Arkansas City. Graveside services will be at 10:30 a.m., Tuesday, June 8, 2004, at the Memorial Lawn Cemetery Chapel. The Rev. Joyce Daniel will officiate. 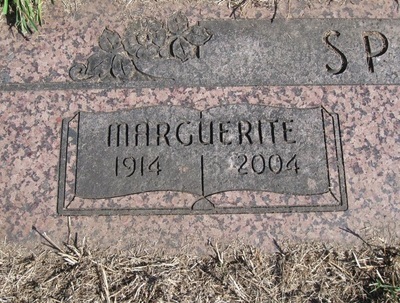 Born Aug. 7, 1914, in Ponca City, Okla., she was the daughter of Sidney L. Ingles and Carrie Jane (Hoffhine) Spooner. She married Chester L. Spooner and was a homemaker. Survivors include her son, Sidney C. Spooner and his wife, Patricia; daughter, Sandra Hasley and her husband, Bill, all of Arkansas City; brother, Sidney Ingles of Wimberley, Texas; four grandchildren and seven great-grandchildren. She was preceded in death by her parents; her husband; sisters, Irma Stevenson and Jean Holsey and a brother, Mark Ingles.